Arata Isozaki (born July 23rd 1931, Oita) is a Japanese architect. He developed a style which reflected both Japanese traditions and Western post-modern and mannerist influences. Isozaki also wrote about architecture and taught in several universities. In 2005, Arata Isozaki founded the Italian branch of his office: Arata Isozaki & Andrea Maffei Associates. He studied with Kenzo Tange, one of Japan's leading modern architects, at the University of Tokyo from 1950 to 1954. He continued to work for and with Tange as a graduate student at the university and then in the older man's firm from 1954 to 1963. At that point Isozaki established his own practice but did not disassociate himself from his mentor, continuing to design occasionally for Tange into the 1970s. This attitude is in keeping with native Japanese practices that stress collaboration and cooperation, rather than competition, among professionals. Nearly all of the leading 20th-century Japanese designers have attempted to synthesize indigenous traditions with Western forms, materials, and technologies. Isozaki's "style" has in fact been a series of modes that have come as a response to these influences. 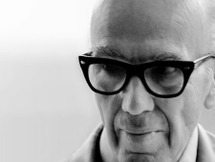 As a young architect he was identified with Metabolism, a movement founded in Japan in 1960. However, Isozaki minimized his connections to this group, seeing the Metabolist style as overly utilitarian in tone. By contrast, in the 1960s, Isozaki's work featured dramatic forms made possible through the employment of steel and concrete but not limited aesthetically by those materials. His designs of branch banks for the Fukuoka Mutual Bank of the mid-1960s are characteristic of this early phase of Isozaki's career. The Oita Branch Bank (1966) is representative of the group: its powerful cantilevered upper stories are more characteristic of his English contemporary James Stirling that of any of his fellow Japanese architects. 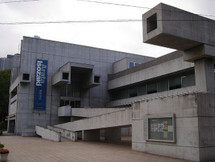 In the 1970s Isozaki's architecture became more historical in its orientation, suggesting a connection with the burgeoning post-modern movement of Europe and the United States. His sources included classical Western architects, especially Andrea Palladio, Étienne-Louis Boullée, and Claude-Nicolas Ledoux. These connections Isozaki did acknowledge, and his work of the 1970s represents a mature synthesis of formal, functional, and technical considerations. A representative work of this period is his Fujimi Country Club, Oita City, constructed in 1973, which displays the love of pure form that also characterizes 18th-century French neoclassicism. Another French principle, architecture parlante (architecture that bespeaks its function), is also at work at Fujimi: by massing the building in the shape of a question mark, Isozaki commented wittily on his incomprehension of his countrymen's obsession with golf. Later, his Western influences were decidedly mannerist, with Giulio Romano and Michelangelo replacing the classicists as sources. Isozaki's Tsukuba City Center of 1979-1983, located in Ibaraki, is a complex of buildings clearly indebted to Michelangelo's Campidoglio in Rome, but not at all limited by it. Chosen as project director for this urban development, Isozaki created a design that included large, colorful buildings, a large plaza, and a sunken garden that provides as clear a statement of post-modern aims as any project built in Europe or the United States. This new-found fascination with what post-modern guru Robert Venturi called "complexity and contradiction" coincided with Isozaki's interest in building outside of his native country. His Los Angeles County Museum of Contemporary Art (1984-1985) may be the best known structure by a Japanese designer in America. Isozaki was, in fact, one of only a handful of Japanese architects to have some impact in the West. In June 1997 the MOMA celebrated its 18th years by honoring 18 individuals, including creator Isozaki. Isozaki's popularity and prestige as an architect is reflected in the commissions he took throughout the U.S. and Europe. He was a part of a cadre of exclusive architects enlisted by Disney to design buildings throughout the U.S. His creation stands just outside Orlando. The only house he has designed outside of Japan listed for $1.3 million in 1997. Isozaki was one of a team of world-famous architects to design two huge business complexes on Berlin's Potzdamer Platz. He branched out by designing the sets for the Lyon Opera's production of Madame Butterfly. Beside the Barcelona Olympic stadium is the Games' most striking structure--the $100-million Sant Jordi sports palace designed by Isozaki for the 1992 Olympics. Other buildings in the West designed by Isozaki include museums in Nice, Cario, as well as Los Angeles, and Brooklyn (NY), the American Pavilion at the Venice Biennale, and the Palladium discotheque in NY. Charles Jencks, an American critic noted Isozaki has taken the style of the West one step further. Isozaki's excellence was recognized in his native country and around the world. One of the honors he received was the Asahi award, given to individuals who make significant and lasting contributions to Japanese culture. 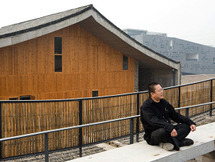 He was also a multiple winner of the Annual Prize awarded by the Japan Architectural Association. Since the early 1970s there have been several one-man shows honoring Isozaki's work, including a London retrospective (1976). Nippon Telegraph and Telephone Corporation in Tokyo announced plans for a new gallery, with an opening exhibit by Isozaki called "The Mirage City." In January 1995, a Japanese art and technology center was opened in Krakow, Poland by President Lech Walesa and members of Japan's imperial family, Prince and Princess Takamado. The center, designed in the shape of an ocean wave, was designed free of charge by Isozaki. Isozaki was a visiting professor at several Japanese and American institutions, including the University of California at Los Angeles, the Rhode Island School of Design, Columbia University, and the University of Hawaii. He also wrote extensively about his architecture and the principles behind it (although, unfortunately, few of these writings have been translated). Arata Isozaki was instantly recognizable by his distinctive style of dress. He often wore traditional Japanese clothing, and he favored the color black. He appeared on the cover of the New York Times Magazine in 1986, dressed in a "dazzingly" fashionable Issey Miyake creation. By presenting himself as being sartorially distinct from the crowd, Isozaki provided a contemporary parallel to the flamboyant Frank Lloyd Wright, the famous American architect (and admirer of Japanese culture) who continued to affect Victorian dress long after it passed out of style.